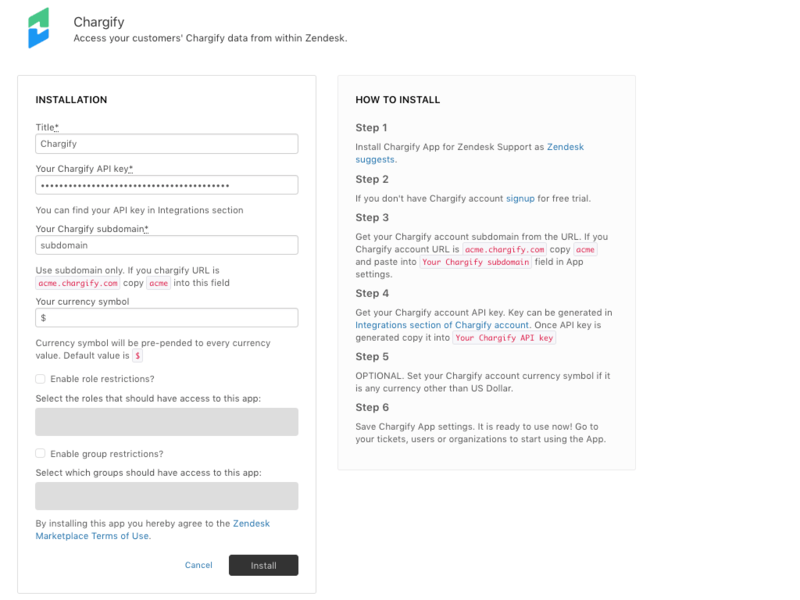 Access your customers' Chargify data from within Zendesk. Chargify is a globally-recognized leader in the Recurring Billing and Subscription Management space. 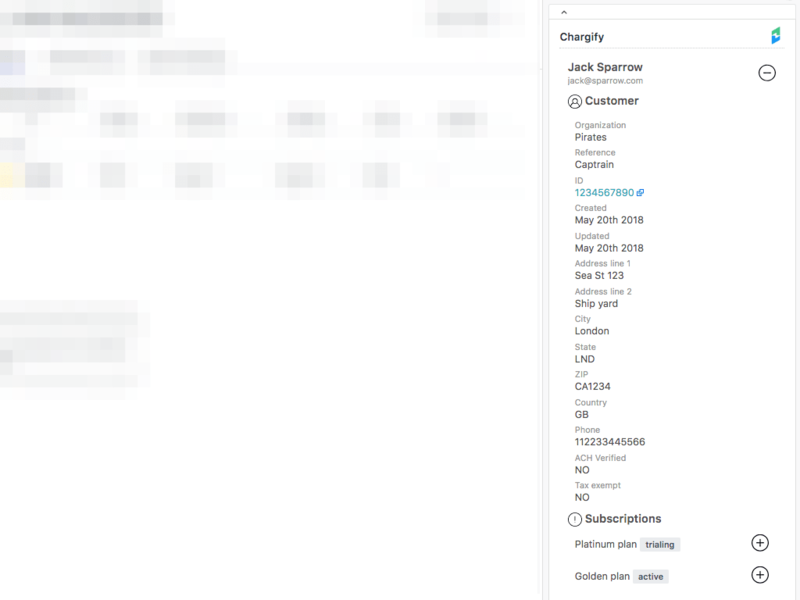 Chargify App for Zendesk support makes it easier to see Chargify data from within Zendesk Environment. Chargify App app is easy to install with minimum configuration effort. Chargify App will save your Zendesk Agents time by eliminating the need to switch between tabs and systems. If you don't have Chargify account signup for free trial to get started. Install Chargify App for Zendesk Support as Zendesk suggests. If you don't have Chargify account signup for free trial. 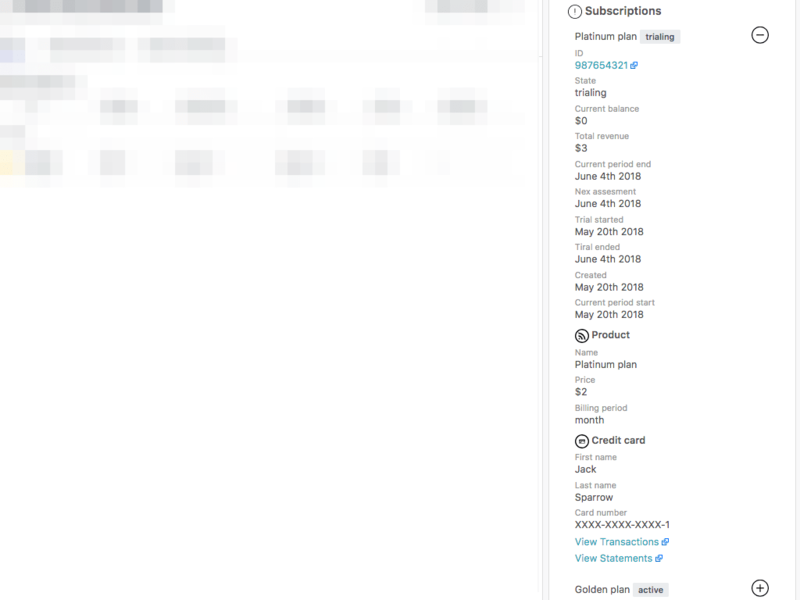 Get your Chargify account subdomain from the URL. If you Chargify account URL is acme.chargify.com copy acme and paste into Your Chargify subdomain field in App settings. OPTIONAL. Set your Chargify account currency symbol if it is any currency other than US Dollar. Save Chargify App settings. It is ready to use now! Go to your tickets, users or organizations to start using the App.